GLADLY Mahira Khan kept up the decency and wore an elegant black gown. 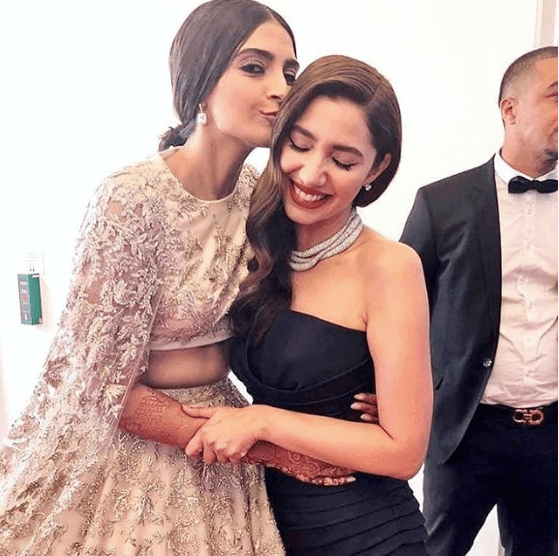 Then it was Sonam Kapoor’s entry after Mahira, and greeted in a very adorable way. Mahira Khan was looking good, but not the best. She could have looked much much better as we see her on our screens. But one thing that we cannot ignore is, she is in an international event. The make up artist and the wardrobe stylists are all foreigners, and she is being prepared for the international cameras and audience.